After deciding to partner with Nickelodeon on a line of aquatic products based on the hit TV show, SpongeBob Squarepants, Happy Dog Toys asked for our help to design several of the products in the line as well as to create packaging and promotional materials. 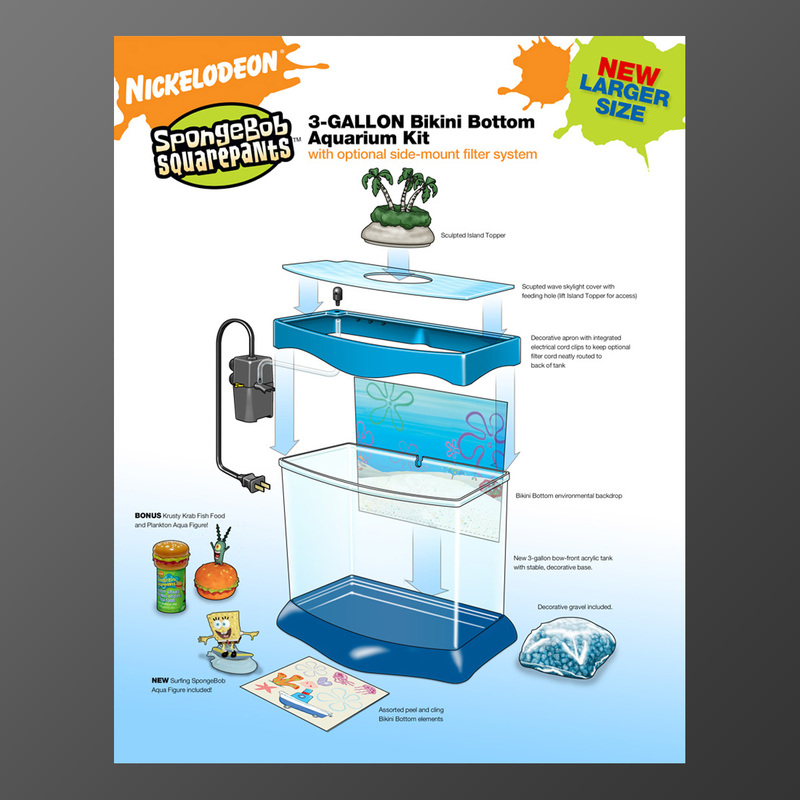 Wilson Creative worked with Happy Dog Toys to create a 3-gallon fish tank to house the underwater environment. 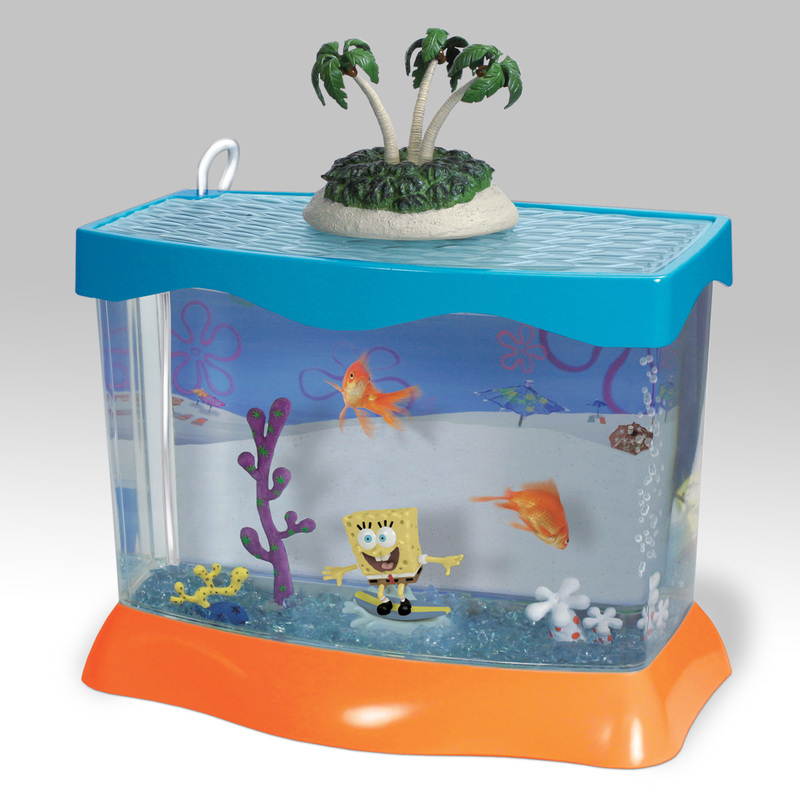 The tank featured a clear, wave-textured top with removable island for access, changeable backdrop graphics and a selection of characters from the series to build your own underwater scene. Click photo to see additional images.